Morning coffee with my guests...the prairie girls Betty and Charlotte. We received a warm welcome on Judy's front porch. The table settings along with name tags were a cheery welcome for our morning brunch. We did feel welcome! It was all so beautiful! Judy put on a real spread! After brunch Bev and her husband Harv treated us to a mini cruise on beautiful Harrison. and we stopped to take a group shot....one of many! Marg and I served a light snack. Enjoying girlfriend time while relaxing and taking in the beauty of God's creation. The Harrison Hotel in the distance as we headed back to shore. Bev's lovely yard and pond. On the patio I spotted the zucchini blossoms that Bev picked up at Lepp Farm Market yesterday. They were so pretty and delicious. Sharing a meal and our hearts. Bev had chosen a scripture verse for each of us which was printed on the inside of the beautiful place cards she had made. Tears came freely as we went around the table and read each verse....each one so fitting for our personal lives. and found comfy spots to sit and relax. 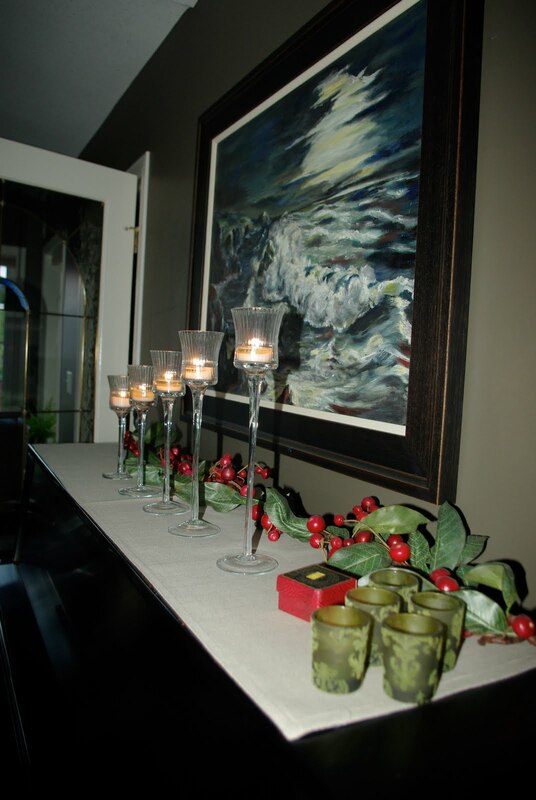 Marg's home turned into a quiet spa retreat for the evening. ...as well as her wonderful Hazelnut Torte. The sunset was beautiful as our day came to a close. We are heading out for another great day. Tomorrow morning Anneliese will tell you all about it. The get together looks like so much fun. I've enjoyed seeing the photos. 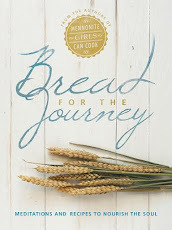 I love coming here and spending time reading the recipes and the Bread for the Journey. Wow! What a wonderful time! And a beautiful flock of girls!! Oh I love it....how terrific you gals all look! I do love this little tour through your daily excursion and am anxious to check in tonight. Wow looks like you ladies had a wonderful time! I so wish I could have joined in on all the fun! The food looks so yummy! How wonderful that you lovely ladies could join up....and be blessed as all of us are with your GRAND site. 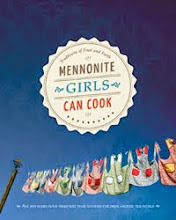 Who knew - Mennonite Girls "Eat, Pray, Love"? Looks like you are all having a wonderful time. Hope to see the recipes for some of that fantastic looking food you've been eating! Gals, thank you for sharing your days with the beautiful pic's and notes...sounds like you are having a blast. Looking forward to tomorrow's post!! Betty, we need to do coffee as soon as you're home!! Can't wait to hear all about your days with the"manonittish myahliss"
Very cool pictures, valley streaming, having fun with friends and fellows are great moment of every one shared people of group. I enjoyed post thanks for it :). Just a joy to share in these photos! What a beautiful, well crafted life..... thanks for sharing......wished you girls lived closer!!!! Your hearts are evident in everything you do. Oh Mom you are so blessed to have such wonderful and caring friends. See God uses the internet too. He brought all you lovely ladies together. 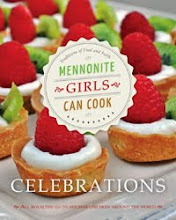 Well, I'm grinning here on the East Coast - you Mennonite girls know how to cook and how to have fun!! So lovely that you could be together enjoying fellowship, praying for one another and deepening your friendship. Here's to many more reunions! I'm positive that you built some lovely lasting memories and saw God through out your day.